BT has come out fighting on the broadband front with a raft of statements that boldly chart its vision for the UK's digital future. Speaking at BT's own Delivering Britain's Digital Future conference, CEO Gavin Patterson promised to exceed government targets for fibre-optic availability in as many areas of the country as possible and bring ultrafast broadband to 10 million premises by 2020. One of the major pledges is to deliver a universal minimum speed for broadband of 5-10Mbps to make sure everyone can enjoy a much faster level of service and this will be a huge advantage for those living in hard-to-reach areas. BT has developed a range of different technologies to help this happen including wireless to the cabinet and long reach VDSL but BT stressed that there must be regulatory and governmental work to help make this happen. 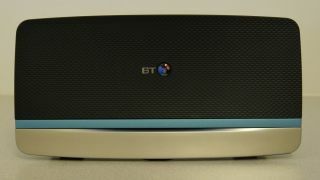 It has also, off its own back, pledged to roll out a satellite broadband service before the end of 2015. There are big plans for fibre-optic broadband that will see BT go "further and faster" to eventually surpass the government's 95% target for fibre availability. Thanks to the "success dividend" clause in contracts covering the joint rollout of broadband with local projects, BT has to reinvest or return money if take-up exceeds certain levels where public funding is used. The money BT has already reinvested is helping fibre availability inch closer to 96% and that will only grow as time goes by. Speed freaks haven't been left out as BT hopes to have ultrafast (300-500Mbps) broadband in 10 million premises by 2020 and the "majority of premises" in 10 years time. It also reiterated its earlier commitment to roll out 1Gbps broadband using its new G.fast tech. As for the controversial issue of Openreach, BT wants the network provider to eventually deal with end consumers directly instead of through broadband providers and for the service provided to consumers to exceed Ofcom's 2017 minimum standards by 6%. Openreach has continually been a point of contention for its competitors and it led to a letter sent to the Financial Times yesterday that urged Ofcom to investigate the "sub-standard" service provided by Openreach to consumers. Ofcom is expected to deliver its final verdict on the future of the broadband market, Openreach included, as part of its statement on regulatory activities that will arrive before the year is out. That will do much to inform the future of BT and the services it provides.